A new gun crew and light cannon for the Todoroni! 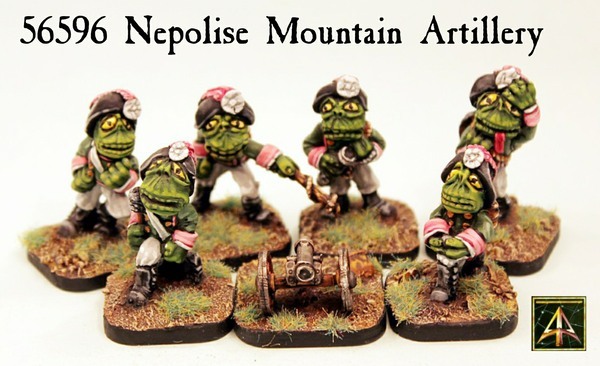 For use in Flintloque and Slaughterloo the Nepolise Mountain Artillery are here with their pop gun 2lb cannon. Click through for the first of two releases for Valon this month and see more images as well as more information and additional statistics for the gunners. The cannon comes with the gunners and you can also get the cannon on its own for use with any other army as a battalion gun. They go up the hill and then down the hill bang bang! 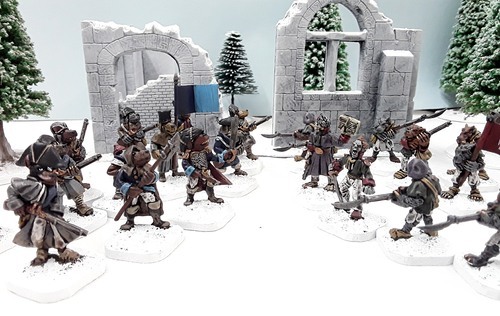 Shotte and Blade have felled the brave soldiers of Diberia as Alternative Armies presents the last 28mm and Flintloque releases for September in two new packs of Werewolf Casualties. 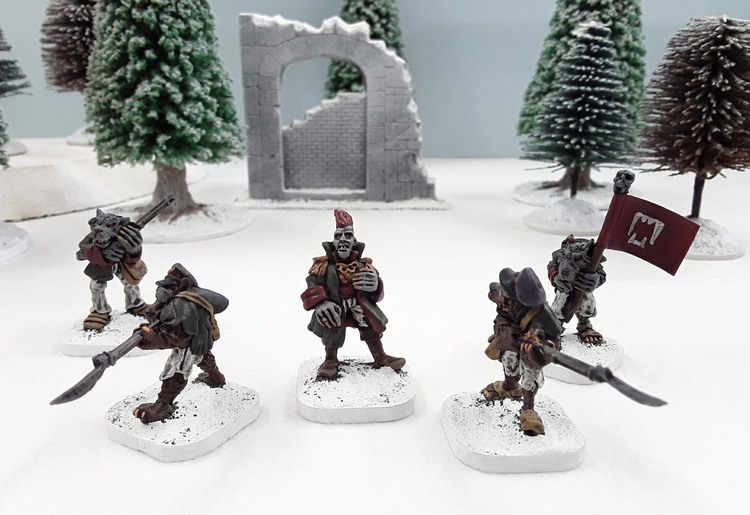 A pack which can be used for Ferach Line Werewolves or Licantzrop Jagers and also a fallen giant for the Visthowla Legion. Click through to read and see more. If you wish to use Werewolves in Flintloque then game book 5026 Death in the Snow is what you want. Andy Jefcoate continues his Flintloque adventure in the frozen realm of the Dark Czar with this fourth in a series of articles. A great read and some pictures from his own collection as he builds it up while playing. Now on general release 56595 Von Monhblume Line for Flintloque and Slaughterloo. Our last release for the month for this range and a brand new faction for your battlefields. Click through to see and read more and to download the free Uniformation article with stats for play for these new Dogmen. 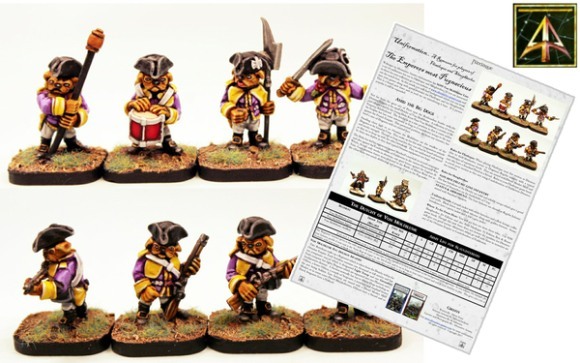 Pugs with muskets in 28mm scale what's not to love! Excellent work by Rob Alderman. 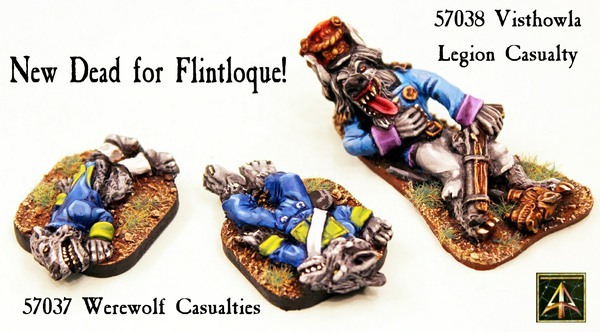 Come with Flintloque fan Andy Jefcoate for this the third part of his new adventure which began with the 5024 Starter Set and now sees Werewolves and more added as well as a short scenario and thoughts on the Witchlands.